DENVER – In a celebration of culture, history and equine beauty, rare Peruvian horses from across the country will compete at the National Western Complex July 18-20 at the Denver Queen City Horse Show. Also known as Peruvian pasos, the modern breed is descended from the mounts of the Spanish conquistadors. They’re known for their smooth, four-beat, ground-covering gait, beauty and gentle dispositions. For 500 years, they were bred in isolation in Peru as elegant transportation across the rugged and varied terrain of South America. 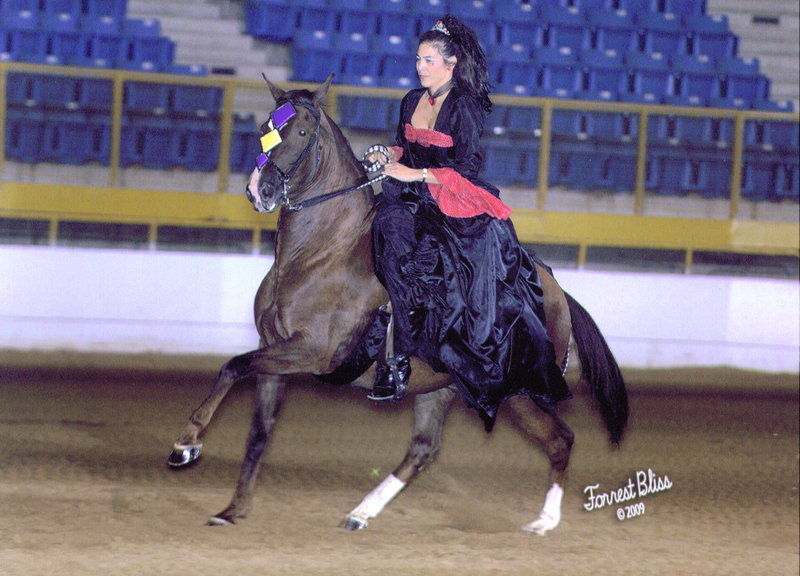 Since they were first exported to the United States in the late 1960s (it was previously illegal to take the horses from their home country), the breed has become popular with riders who enjoy the bounce-free glide, particularly with people who suffer from chronic injuries that can be aggravated by jarring diagonal gaits. The Peruvian horse is a separate breed from the paso fino. The Peruvian show will be judged by the Honorable Roque Benavides of Lima, an internationally recognized judge and breeder of Peruvian horses. Also competing in separate classes that weekend under a different judge will be Saddlbreds, an elegant American breed known for their striking looks, gait and versatility. The charity show hosted by the Centennial State Peruvian Horse Club is raising money to benefit Colorado HorsePower, a therapeutic riding program in Castle Rock, Colo. The program, which is completely free to all participants, enables students of various backgrounds and capabilities to ride tall, improve motor skills, social skills and confidence. Classes start at 9 a.m. Thursday, July 18, and will end in the late afternoon each of the three days of the show. For more information, contact Kerry McGinley, kerrymcg@aol.com or 719-310-6609. Here’s Emily Weaver-Knight on DB Romance Joven. Photo by Forrest Bliss.